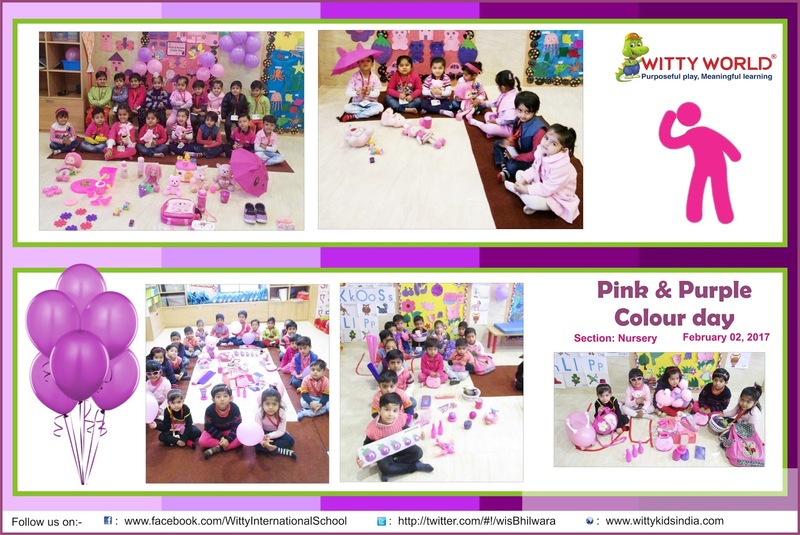 As a part of the colour day celebrated in Nursery section Witty World celebrated,” Pink and purple colour day” on Thursday,2nd,2017 . Children and teachers came dressed in pink and purple coloured clothes. Classroom was decorated with pink and purple colour balloons and objects. Children had a funfilled day.